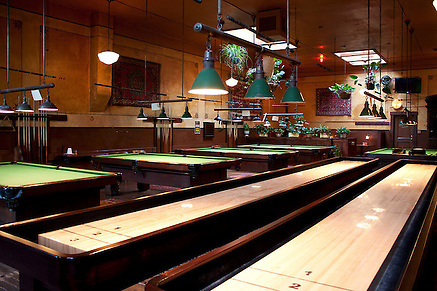 The Olympic Club Pub occupies the former card room of the Olympic Club Hotel & Theater, where the likes of Tacoma Iron Mike, Honest John, and One-Eyed Tony once convened nightly for spirited games of poker. 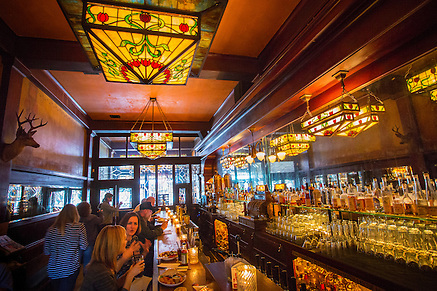 Here splendor surrounds you: dark wood, Art Nouveau stenciling, Tiffany-style lights, beveled glass and one of the most beautiful period bars we've ever seen. 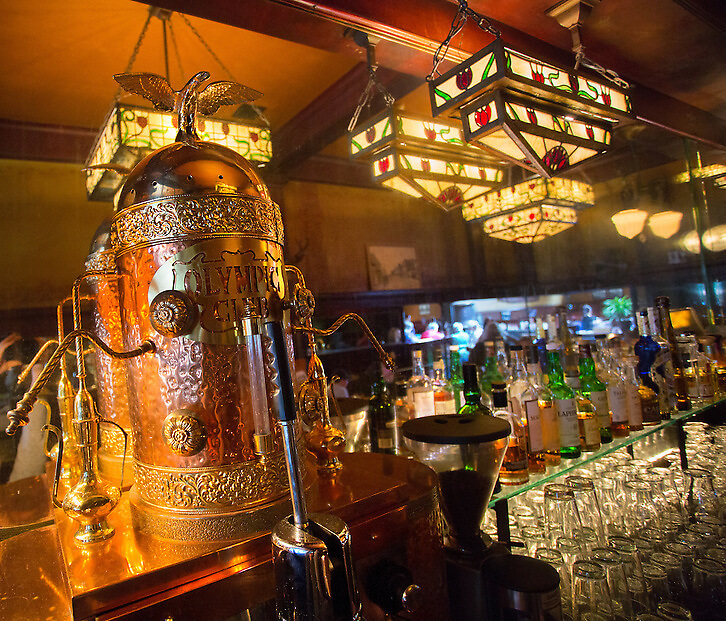 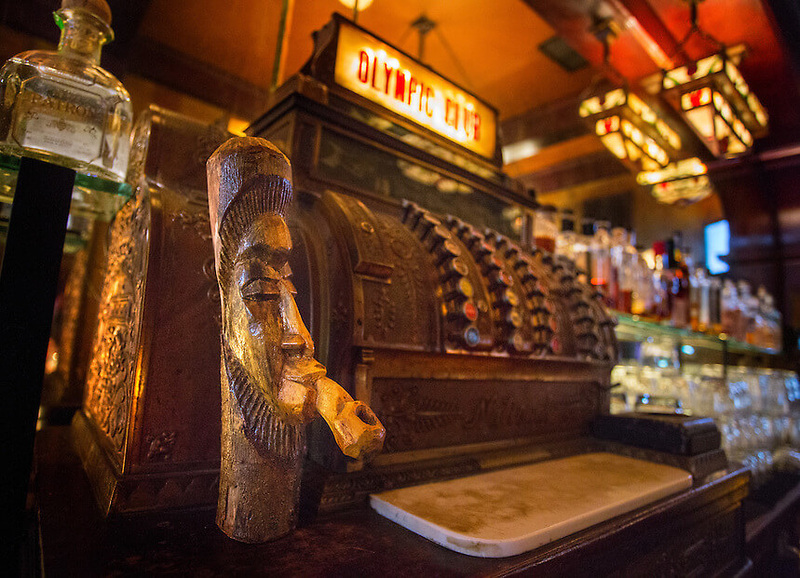 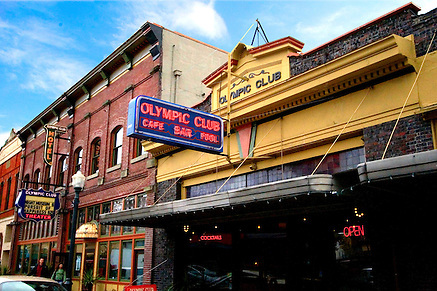 The Olympic Club Pub is also open for breakfast seven days a week, beginning at 7 am Grab a table next to the massive Round Oak wood stove during chilly months and take in the view of the hotel's classic-styled pool hall which features seven original Brunswick pool tables.